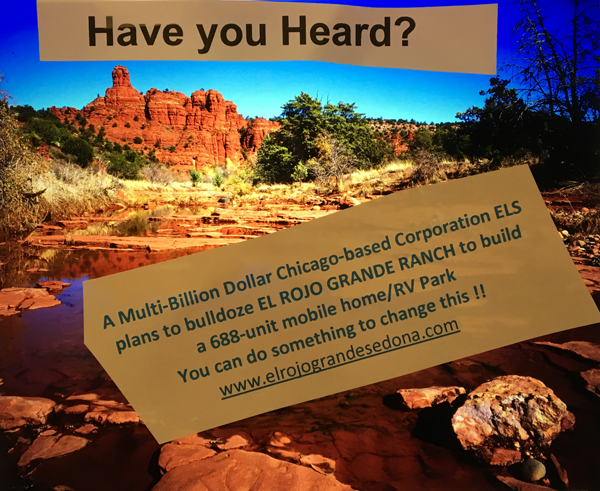 Sedona Eye » What’s Next For Sedona? Home » From The Readers, Letters to the Editor » What’s Next For Sedona? Where do we go now? The issue of taking back the road is a dead issue with the community with the only exception that Hamilton and Rayner may still take the voters to court to try to overturn 411. We will see if they honor the vote of the residents or use an outside group to take this to court. What we do have in front of us is a city council election just a few short months away. Who will be the candidates? Will we be fooled for a second time that a Political Pac can run a slate of candidates that will follow the “Will of the People”? I think not! We painfully learned in the last election that councilors Litrell, Ward and Rayner used the pledge to follow the “will of the people” as a political slogan only. We have learned that the flooding issue per this council voting block (consisting of Litrell, Hamilton, Rayner, and Ward) is an issue for the property owners only! Don’t forget Litrell suggested $5000.00 per resident fee to fix the flooding issues! We have learned that community members will continue to be double taxed. Insult to injury when you pay for a sewer hook up that never happens then face your septic dumping fees being raised! We have learned the hard way that this council is NOT Animated by the ARTS! We all watched the Arts Commission be systematically dismantled by Hamilton, Rayner, Ward, and Litrell. What should we do? What can we do? I suggest we look at the service record of Mayor Adams and Councilor Dinunzio; both have kept their promise to follow the will of the people. Both listen to the survey and voted against ownership of Hwy 89a. Both have remained true to fiscal responsibility. Both have remained committed to restoring the failing safety and welfare issues of our city streets, drainage and sewer system. Both did far more than make a campaign slogan out of a city animated by the Arts! We can and must do better at electing candidates that are reliable, ethical and represent the views and values of the community they serve. We as community members must be involved in this election, we must not allow ourselves to be fooled a second time by empty campaign slogans paid for by special interest groups. 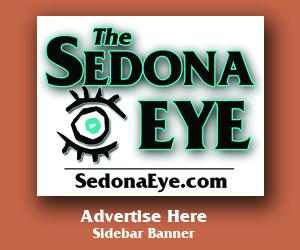 Visit the SedonaEye.com daily! Follow the Sedona Eye for the best News and Views! Subscribe now. Keep in mind that the turnover two years ago was, to my recollection, a reflection of displeasure towards yet another majority of city council members who were frequently perceived to also ignore public opinion as they opted to vote to represent what “they” thought was best. It might serve well, too, in the event new names and faces vie for seats on the city council, or as mayor, for us to meticulously scrutinize credibility relating to potential personal agendas and/or history, if any, in dealings with the City of Sedona. Because of the recent enormous upset within our community, emotions, fear, unease, and distrust will continue to run rampant if individuals toss their hat into the ring under the real or perceived guise of allegedly intending to represent us, the voters. For example, does Sedona need or have the endurance to embrace national political parties and their associated policies on a local level? Can we afford to take a chance on elected representatives with less than a stellar accounting of past dealings at City Hall? How will we be able to recognize if personal agendas are clawing and gnawing at the opportunity to be set free for reasons unknown to us? If you are pleased with the performance of incumbents and they remain in the running, re-elect them. That’s the easy part. Our city’s reputation continues to rapidly disintegrate as a desirable place to live. At such a pace, how long will it take for that same ugly portrayal to spill over and taint the tourist industry, already stretched to the dollar limits due to sluggish economy? We deserve the best. If ever Sedona voters should become thoroughly educated . . . not brainwashed . . . it should be prior to casting votes at this next election. 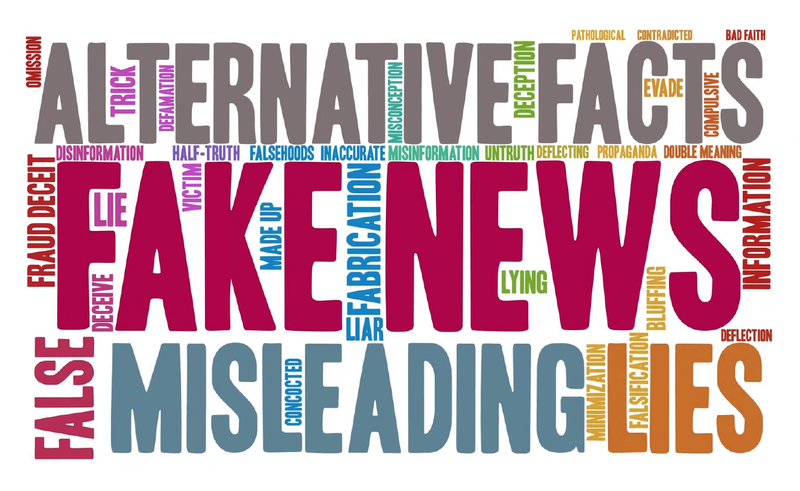 Comments herewith represent my personal opinion and are unassociated with specific publications, organizations, or individuals. Does it bother anyone else to read an opinion piece such as this one without knowing who the author is? There is no registered voter in Sedona named Liz Smith. If what you say is true, why use a pseudonym? Stand behind your words. I have seen this so many times in my life that when you give people power over others they feel superior and just do as they damn please. The first mistake Sedona made was to even consider a central government control as there were surly not the problems you now face. It seems even at the local level it is spend, spend, spend until we are so deep in debt that without raising taxes much higher there is no way out. Even then after raising taxes the spending just continues to raise so in the end we either stand still or go deeper in debt. Case in point is the fire department the just went on a wild spending spree on wages and very equipment that was totally not needed. The “slate of candidates” ran on no lights on 89A and won overwhelmingly. In a word, no, it doesn’t bother me, Lin. To reflect back that an alleged proposed “Sizzlers” restaurant adjacent to the main post office and the former “White House” motel in West Sedona were two cited undesireable events in Sedona offering lame excuses for Sedona to “incorporate” to prevent unsightly overbuilding. Has anyone checked out Fort Hyatt at the “Y lately? Guess some of those planners considered the red rock views now obscured as having been “unsightly.” Tell that to the tourists..
Of course the “biggie” excuse to incorporate was that unless Sedona had a central wastewater treatment facility all of our properties would be condemned and rendered worthless. And then the “M” word was thrown in: Moratorium on new construction. Hmmm . . . wonder what Sedona would look like today had that concept been applied? When the then truly uneducated voters bought into that bill of sale it was, indeed, a joyous occasion for developers and others who stood to make big bucks. Chamber of Commerce hasn’t done too badly with their high priced new facilities and Executive Director while those of us who prepaid for connection to the sewer remain “unconnected” and are still waiting for our properties to be condemned. Big government, high finances . . . indeed. Thank you, Glenn Shannon, for telling it like it is. Be mindful today is Pearl Harbor Day and that vets fought for the rights that everyone in Sedona moans and groans about. Did you tell a veteran today how much you appreciated the sacrifices they made for us? Not a lot of people in Sedona seem grateful. A road issue gets corrupted by greedy foxes wanting to steal the eggs from Sedona voters and guess what, they did. A few are walking around asking how it could have happened. And here’s something else that’s wrong around here. Fellas act like flooding during rainstorms is an apocalypse the Sedona Council created. The councils had nothing to do with the rain run off issue. Developers yes, homeowners yes, USFS yes, God yes but the Councils not so much. No one can be stupid enough to believe that line of political bullcrap except a few uneducated jackasses that bray like the asses they are. LEARN QUIET. Deserts-flash floods-torrential rains-houses all were built in areas before incorporation and now homeowners and businesses don’t clean and maintain washes, Forest Service and Developers give blows to Mother Nature with land management or bull dozers destroying thousands of years old beautiful desert habitat to erect 3000 sq ft houses in uninhabitable areas. So LIVE WITH IT and Practice QUIET that the rest of us can ENJOY. Thank You John, that was perfectly stated. Let’s not only take time to think about those at Pearl Harbor, but also those Who are fighting for Us at this very moment, so that We have the opportunity to learn about Our surroundings. Glenn…you said “Case in point is the fire department the just went on a wild spending spree on wages and very equipment that was totally not needed.” When did this occur? Not in the last two years or more as they have made substantial cuts in staff, benefits, and equipment. The rest of your comments are equally vague and without substance. By the way, it isn’t a fire department, it is a fire district. Four people were involved in house fires January 15 in Sedona. One guy suffered burns. Two homes on Shelby and Sunset were completely lost. The cause of the fire? No one knows. Is this the Sedona we are getting because haters like the ficticious Liz Smith and her cohorts, the business robber barons, want to strip beautiful Sedona of its views with ugly city lights to promote their own self-interests? The last council did nothing to stop home owners from collecting illegal rental income & this council has tried and we’re considering putting the old council back in? What’s wrong with you Sedona voters? Are your memories so short? Murders, children dying on our red rocks, tourists falling to deaths – fruit of bad seeds that we turned out of office. The Mayan calendar says 2012 is the end and Sedona is moving in that direction. It’s time to suggest that the bad seeds find other ground to sprout hate and leave Sedona to believers here with the right intent of preserving pristine beauty and not destroying it with fake overseas made (pretending its Native American) goods and over priced art offered by the rich but extremely untalented in stores lit by costly city lights for WHAT? NO NEW TOURISTS WILL BE COMING BECAUSE THIS IS A GLOBAL RECESSION THAT ISN’T ENDING SOON. TOURISTS ARE STAYING CLOSE TO HOME. HAS ANYONE COUNTED HOW MANY PEOPLE LIVE CLOSE TO SEDONA LATELY? I am looking for better Sedona Moments and not seeing any. Have you ever been to Flagstaff at night.. You can Actually see the Stars. Google Flagstaff Dark Skies Coalition .. Flagstaff is the first City in the World to Address the Light pollution at night. So if your really pissed off about the light Situation, Why not look into Alternatives for the lights. Sedona Then Could Proudly say “Sedona is a Part of the International Dark Sky Coalition”.